Launched new Website - Inspired mobile fitness - Collective IT Solutions, Inc. This website is near and dear to Collective IT Solutions as we workout with this amazing team! 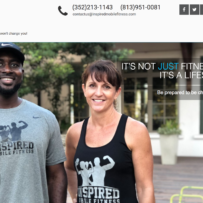 We are happy to help them launch this new website to help others join / learn about fitness.